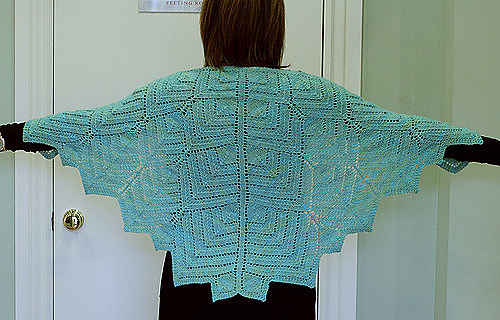 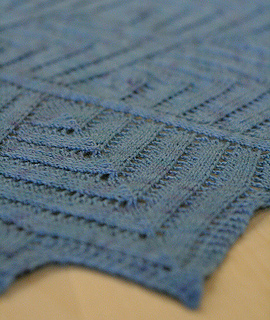 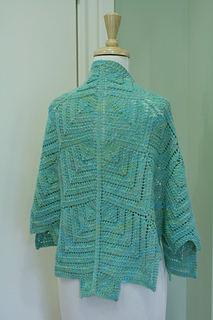 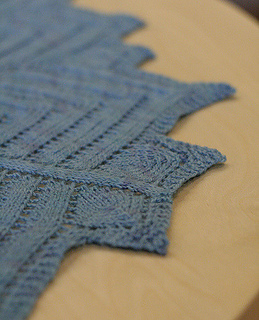 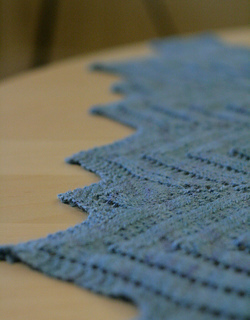 This top-down shawl plays with movement of stitches, having both subtle curving motion and clean decrease lines. 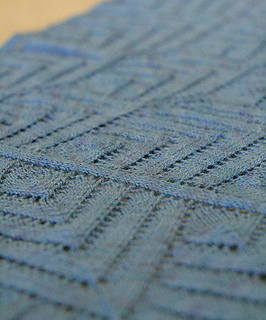 The tessellating wave motif shifts and increases like ripples in a pond. 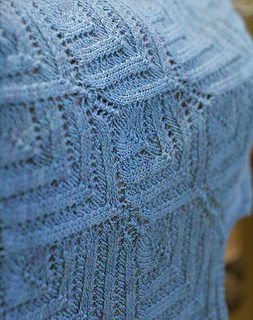 The uneven picot edging speaks of waves crashing against the shore. The blue colorway is “Blue Skies” and the green colorway is “Lost Lake”. 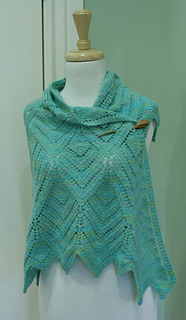 Special thanks to MagdaBiroshak for test knitting.